Playful Learning Center is located at the Department of Teacher Education, Siltavuorenpenger 5 A in Helsinki. The facilities include an innovative learning environment, “a playground”, for research and development activities. The playground is built with the contribution of Rovio. The lab and its surrounding facilities provide flexible, 21st century spaces and devices for education and training events around playful learning solutions. We welcome all actors intrested in playful learning to join us in research, development and education efforts. Playful learning needs children and teachers to join us – so please welcome and visit us! Below you can take a virtual tour of the lab. We suggest you enter full screen mode for an immersive experience. 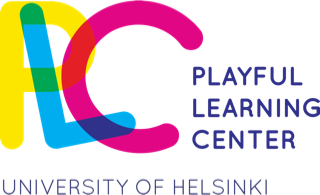 ©2019 Playful Learning Center Helsinki.